According to documents from the mid-sixteenth century, Machu Picchu would have been one of the residences rest of Pachacutec, the ninth Inca Tahuantinsuyo between 1438 and 1470. However, some of its finest buildings and ceremonial evident from the main gateway to the llaqta demonstrate that this was used as a religious sanctuary. Both uses, the palace and the temple, it would have been incompatible. Some experts seem to have ruled, however, an alleged military, so the popular epithets of "strength" or "citadel" could have been overcome. Machu Picchu is considered both a masterpiece of architecture and engineering. Its unique architectural features and landscaping, and the veil of mystery that has woven around much of the literature published on the site, have become one of the most popular tourist destinations on the planet. 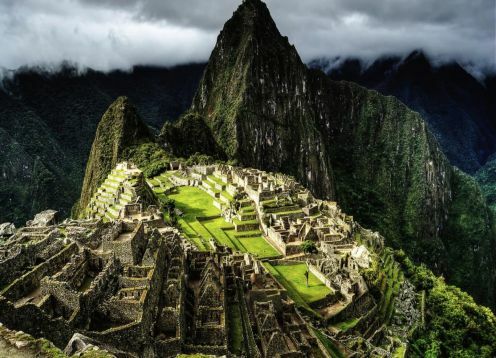 Machu Picchu is on the List of World Heritage of UNESCO since 1983 as part of a whole set cultural and ecological known under the name Historic Sanctuary of Machu Picchu. The July 7, 2007 Machu Picchu was declared one of the new seven wonders of the modern world in a ceremony in Lisbon, Portugal, which was attended by one hundred million voters worldwide.